Republicans in the state House and Senate are about to enjoy a final month of their trifecta, in which they control both houses of the Legislature and the governor’s office. In the past, lame-duck session at the end of the two-year legislative term has brought many rapid, controversial changes to state law. Republican lawmakers are working to scale back Michigan’s newly passed minimum wage and paid sick leave laws before they leave office in December, when they will lose full control of state government. It won’t happen without a fight. Democrats and advocacy groups that worked to pass the worker-friendly bills fear Republicans will gut the laws in the lame-duck legislative session, a violation — in spirit, at least — of what they say state residents want. GOP legislators, though, say the measures as enacted will hurt business. That’s why Republicans preemptively passed the proposed ballot measures in September ‒ to make them easier to rein in. 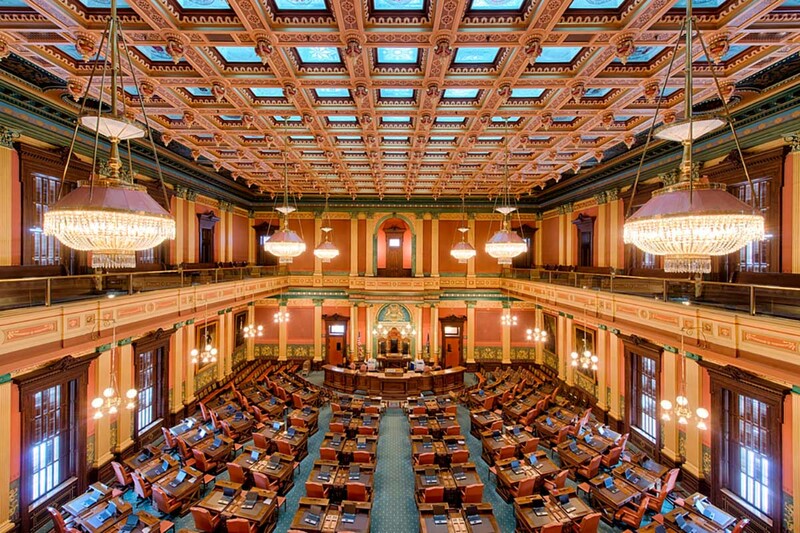 The debate over legislative authority versus the will of the people has played out before in Michigan, said Eric Lupher, president of the nonpartisan Citizens Research Council of Michigan. Some changes to both laws have already been proposed, and more likely will be coming. Here’s what you need to know about what potentially could be the biggest issue on the table as the two-year legislative term winds down before Christmas. The new minimum wage law, if left unchanged, would raise the state minimum wage from $9.25 to $10 per hour beginning in 2019. The wage would then increase every year between 2019 and 2022 until it hits $12 per hour, and raised every year after that based on inflation. Of particular concern to business, especially the restaurant industry, is that the law also raises the amount tipped workers receive until it equals the minimum wage level of other workers. The wage law was put forward by the Michigan One Fair Wage ballot committee. The paid sick leave law allows workers to accrue paid sick time off for themselves and to care for family members. Under the law as passed, employees would earn at least one hour of paid sick leave for every 30 hours worked, up to 72 hours per year. Workers in small businesses could use up to 40 hours of paid sick leave each year and 32 additional hours of unpaid leave. It was organized by the MI Time to Care ballot committee. Ten other states and Washington, D.C. require businesses to offer paid sick leave. Sen. Dave Hildenbrand, R-Lowell, is sponsoring a bill that would prevent tipped workers from eventually making the same minimum wage as other workers. Both laws were initially conceived under a state constitutional provision that allows citizens to propose legislation if they can collect at least 252,523 valid signatures, the amount required in 2018. If lawmakers adopt the proposal, it becomes law; if they don’t, it goes to statewide voters. The Republican-dominated state Legislature chose to adopt both progressively backed bills with the clear intention of amending them rather than sending them to the ballot in November. Adopting citizen-initiated bills allows the Legislature to later change them by a simple majority vote. Had voters adopted them at the ballot box, the Legislature would need to muster a three-quarters majority to make any changes. Sen. Dave Hildenbrand, R-Lowell, is sponsoring a bill that would change the minimum wage law to preserve what’s known in the restaurant industry as the tip credit. Currently, businesses only have to pay tipped workers 38 percent of minimum wage, or $3.52 an hour (though they must make up the difference if a worker’s total pay falls under $9.25 an hour). The law as written gradually will increase the lower tipped wage until tipped workers receive the same full minimum wage as other workers, even as they continue to be allowed to collect tips. Hildenbrand’s bill would void that increase. 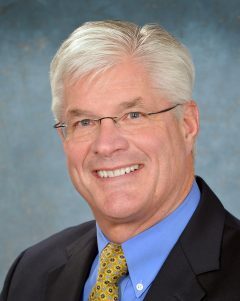 Another bill, sponsored by incoming Senate Majority Leader Mike Shirkey, R-Clarklake, would remove a “rebuttable presumption” in the paid sick leave law that presumes employers violate the law if they take negative action against an employee under the act. It also would reduce the amount of time employers are required to keep records of employees’ hours worked and sick leave used. Incoming Senate Majority Leader Mike Shirkey, R-Clarklake, wants to reduce the burden he said a new paid sick leave law would impose on businesses. A spokesman for outgoing Republican Gov. Rick Snyder would not say whether Snyder would sign the bills if passed. What do critics of the changes say? Those who oppose changes to the laws are largely Democrats or organizers behind the ballot initiatives that created the laws. They say such changes would gut the legislation, and they suspect the worst is yet to come. DuBuc argues that a strong paid sick leave law benefits businesses by reducing staff turnover and lifting employee morale and productivity. Critics also push a more technical objection: That it’s illegal for the Legislature to adopt citizen-initiated legislation and then amend it during the same session. Mark Brewer, former Michigan Democratic Party chairman and attorney for both Michigan One Fair Wage and MI Time to Care, says the GOP maneuver is unconstitutional, citing a 1964 opinion by then-Michigan Attorney General Frank Kelley. “I expect that there will be litigation over that” if the Legislature amends the laws during the lame-duck session, Brewer said. Rep. Stephanie Chang, D-Detroit, argues that lame-duck changes would subvert popular support for the proposals. “It just seems to me that there are literally hundreds of thousands of voters who wanted to see these on the ballot ... and strongly believed in the policy, and this is undermining their will,” said Chang, the incoming state Senate minority floor leader. Critics of the Republican majority say GOP leaders have a history of sabotaging proposals with broadly popular support. They cite, for instance, Republican passage of the state emergency manager law, which was passed shortly after voters rejected a similar law by referendum in 2012. Democratic and labor groups also remain bitter about the swift passage of right-to-work legislation signed into law during that same 2012 lame-duck session. Republicans in the state House and Senate, along with business groups, support amendments to the bills. They argue that the laws as written create a huge burden for business, particularly small companies. “If this initiated statute goes into effect as written, it would be unbelievably burdensome to all businesses and, frankly, would dry up jobs because people would figure out how to do more with less people,” said Shirkey, who sponsored the paid sick leave amendment. Shirkey and other legislative leaders push back on charges that the amendments violate voters’ will, arguing that citizen-initiated bills were clearly intended to go through the Legislature first and, if adopted, amended like any other bill. They also note that these citizen-initiated proposals were largely funded by out-of-state interests. 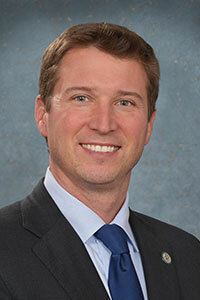 Fowler said the sick leave law as passed puts too heavy a burden on small businesses. They often aren’t large enough to have human resources departments, or dedicated HR managers, Fowler said, which can make complying with the law more cumbersome. Why are these changes being proposed now? Tuesday kicks off what is known as lame-duck session, or the period between Election Day and the end of the two-year legislative term. This year, Republicans in the state House, Senate and governor’s office enjoy one last month as a trifecta in power. Come January, the balance will shift as Democratic Gov.-elect Gretchen Whitmer takes office, armed with veto power, and as Democratic wins in November shrink Republican majorities in the state House and Senate in the new year. That could make it more difficult for Republicans to pass legislation perceived to favor business interests over the interests of workers. Any bills that aren’t adopted when the legislative term ends in December are considered dead and would have to be reintroduced in the new two-year term that starts in January. Any lame-duck surprises in store? While some legislators, including Shirkey, say the minimum wage and sick leave bills are a top priority, it’s unknown what other bills may surface during lame-duck session. Legislators who are leaving office have one last chance to push some of their policy goals. Among other bills that could surface, Shirkey has proposed legislation that would shield the identities of donors to nonprofit groups that engage in political advocacy. Sen. Tom Casperson, R-Escanaba, recently introduced legislation to clarify that the Mackinac Bridge Authority can decide whether to assume ownership of a tunnel beneath the Straits of Mackinac — a linchpin of Snyder's plan to replace the controversial Line 5 pipeline. The bridge authority, an independent agency that oversees the iconic bridge between Michigan's peninsulas, must vote on the plan and it’s not clear when such a vote might come. Snyder, meanwhile, wants lawmakers to address his proposals to raise money for toxic cleanups, boosting recycling rates and fixing busted and hazardous drinking water pipes. It’s unclear whether Republican leaders will take up the measures. Bridge reporter Jim Malewitz contributed to this report. Ignoring the will of the people is common practice for our current legislature. If the voters approve anything that ruffles the feathers of their corporate overlords, it takes no time at all for the Repubs to flip off the voters and write new laws. Pathetic. "Any bills that aren’t adopted when the legislative term ends in December are considered dead and would have to be reintroduced in the new two-year term that starts in January." Anyone want to take bets on what will happen first: The 99th Legislature declaring sine die or Gov. Snyder signing one of these bills?